At Marie and Marie Bridal, we are all about the bride. We believe that the process of finding your dream gown should be as memorable as the day you wear it down the aisle. That’s why we strive to make the wedding dress shopping experience absolutely perfect for the bride in everything we do. Now that you’ve found your person, we would love to help you find your dress. At Marie and Marie Bridal, you will have your own private dressing room big enough to fit your closest friends and family. 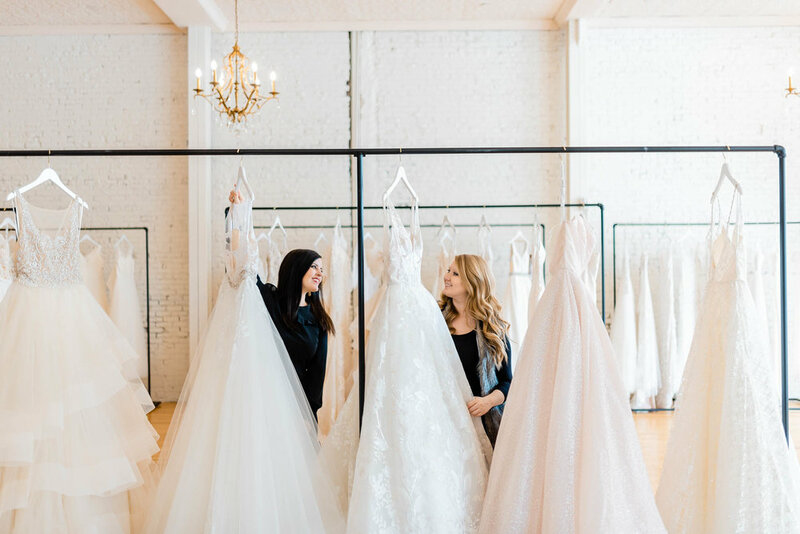 With our gorgeous selection of designer wedding gowns, veils, and accessories, your personal stylist will help you create the perfect look for your big day. And don’t worry, we will provide the cake and champagne!